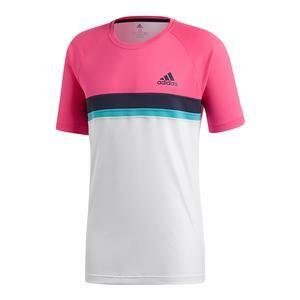 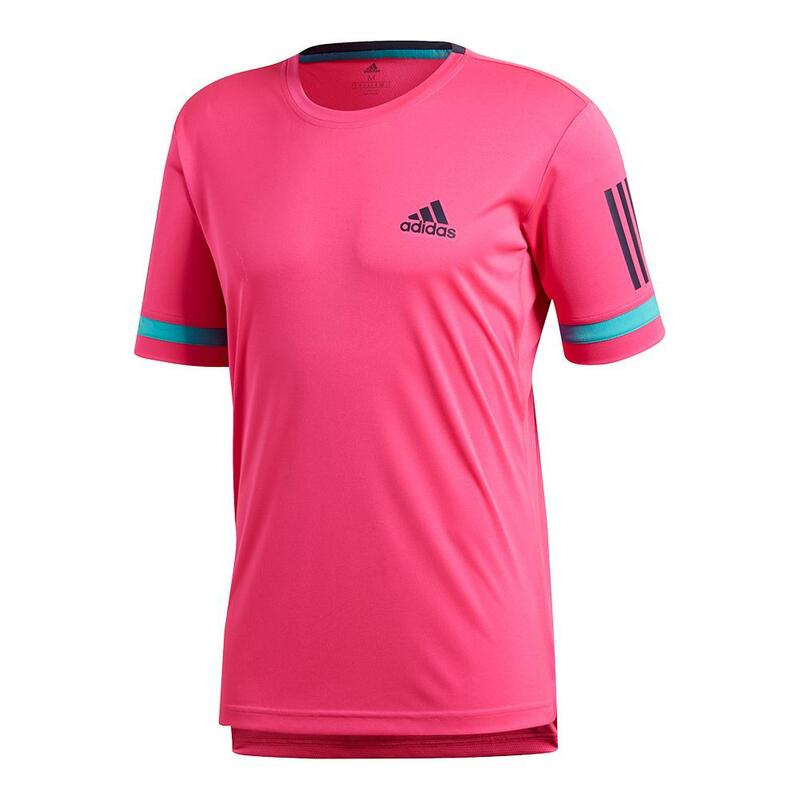 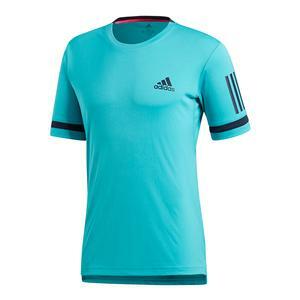 The adidas Men's Club 3 Stripe Tennis Tee in Shock Pink will keep you cool during the most explosive play. 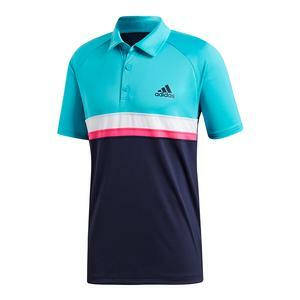 Using Climacool and UPF 50+ technology, this tee battles the heat to leave you cool, dry and in complete control of your game. 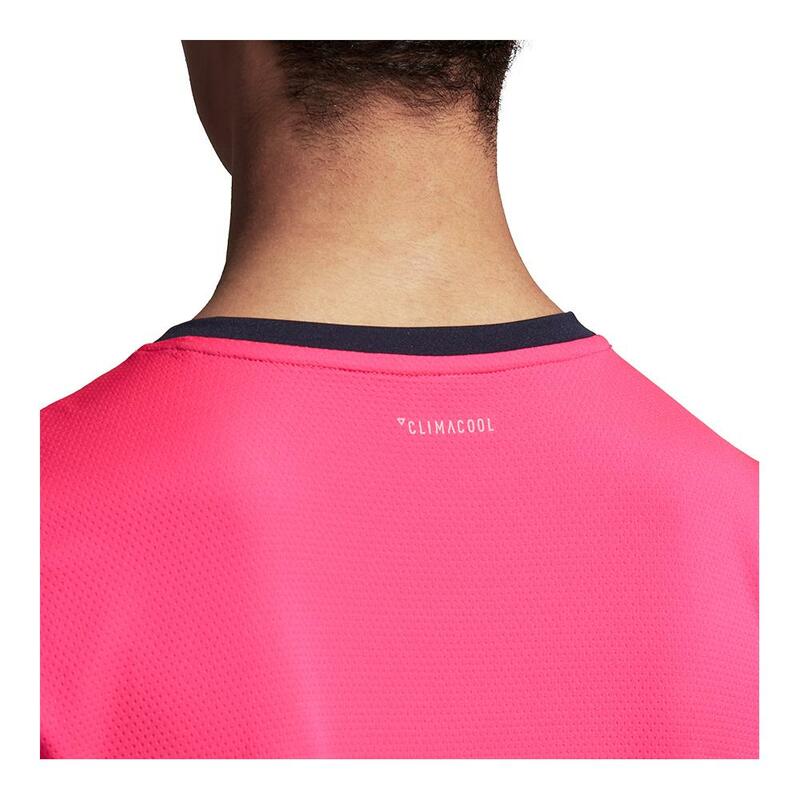 This standout tee includes a droptail hem, mesh panels for breathability, and 3-Stripes on the sleeves. 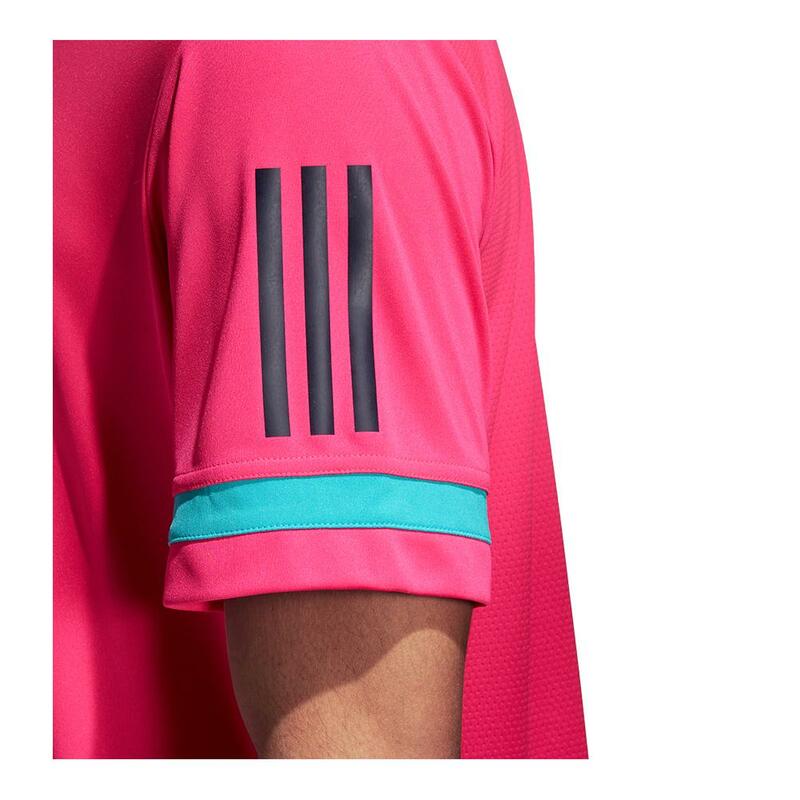 Players that like a little more pop to their fashion will enjoy this tee to play in. 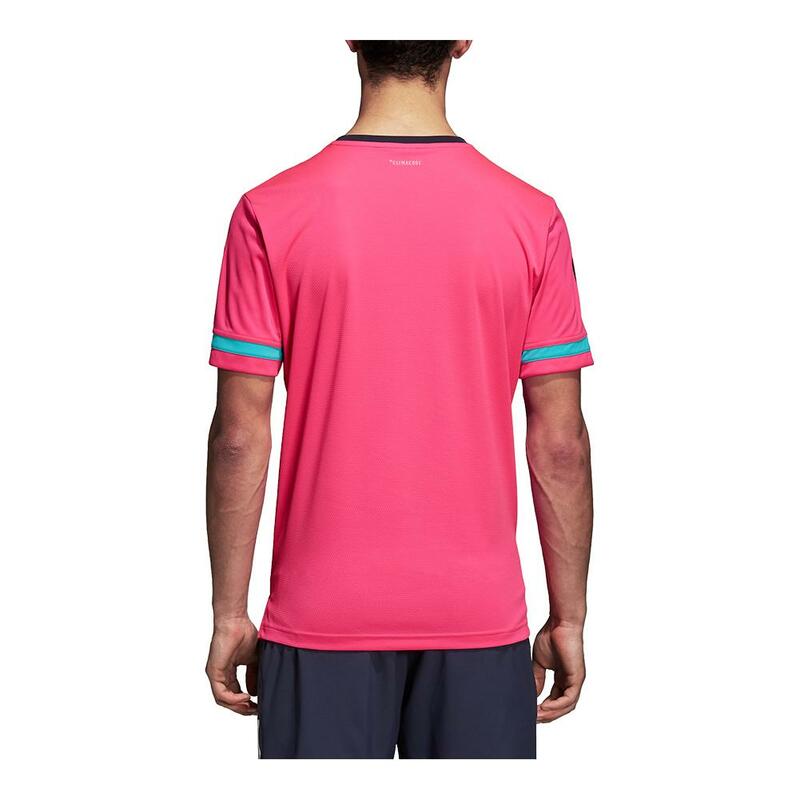 Match this tee perfectly with the Men's Club Bermuda Tennis Short in Shock Pink.